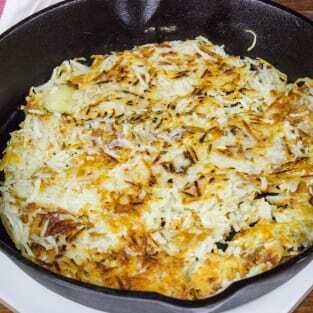 Using a large grater or food processor, shred the potatoes. Transfer shredded potatoes into a large bowl and fill with cold water until potatoes are covered. Let potatoes rest for 5 minutes, then transfer into a colander and press out as much liquid as possible.